In the information age, data is king and the amount of data that we need to crunch in a daily basis has exponentially increased during the last few years. To cope with the great amount of data, applications were created to handle it in ways that we need. A spreadsheet is a computer software that simulates a paper worksheet. We use it to tabulate data and create graphs based on the data. A database is a collection of related data that can be accessed quickly. A database is meant to hold a large amount of data and some databases routinely do. The amount of information that is usually stored in a database is a lot compared to what you usually see in a spreadsheet. Too much data is simply impractical in a single spreadsheet as it becomes more difficult for a person to edit it. Databases, on the other hand, are not edited directly by people as there are other applications that are meant to enter new data or modify the contents. These applications make it easier for users because it has filters that limit the data that they view to the ones that needed. They are also used in different ways. A database is used in applications that store a lot of data like web server or in companies that needs to keep track of their products and clients. A spreadsheet is commonly used to process paperworks like reports and the like that are usually printed out. It is also used to make presentations better as the graphs make it a lot easier to understand tabulated data. A database and spreadsheet are two different but complimentary pieces of software. 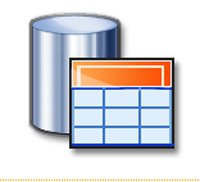 Most applications that access a database present the data in a spreadsheet to provide an orderly view. If you are going to work with one, then you are probably familiar with the other. Ben Joan. "Difference Between Spreadsheet and Database." DifferenceBetween.net. December 25, 2010 < http://www.differencebetween.net/technology/difference-between-spreadsheet-and-database/ >. Thank you sweet ♥, it’s been a pleasure reading your note . Love you sweetie, keep it up!